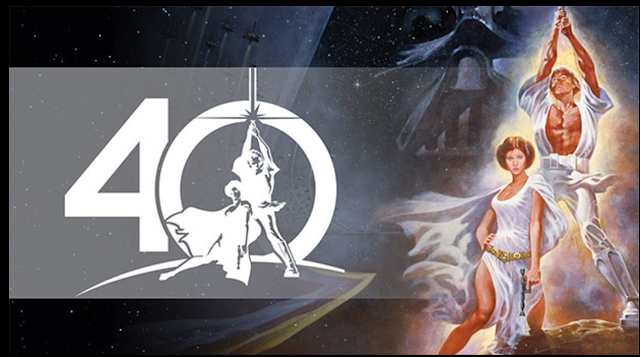 It has been forty years since the release of Star Wars: A New Hope and an 'epic' tribute is set to kick start Celebration Orlando 2017. A special panel has been scheduled to take place on Thursday, April 13. The event has been described as 'marquee' and set to include 'not-to-be-missed' surprises. Warwick Davis, who played Wicket in Star Wars: Return of the Jedi, will host this special panel which will explore the impact of 'Star Wars' and the fandom which has propelled it for the last four decades. The Celebration panel will also feature an appearance from Lucasfilm President Kathleen Kennedy. Celebration Orlando is due to take place from Thursday, April 13 to Sunday April, 16. Single tickets are still available for purchase. Uh, where's Palpatine in the poster?